Paynes Prairie Preserve State Park is a 22,000-acre wilderness that represents the finest natural landscapes of Florida. Paynes Prairie became the first state preserve in 1971 and was designated a National Natural Landmark in 1974, one of only 600 such designations nationwide. Its distinctive geologic features, rich and productive wildlife habitat, and value to people past, present and future make it an extraordinary place. A good place to start explorations of the Preserve is the visitor center near the historic town of Micanopy. Exhibits, stunning photography and an audio-visual program explain the area’s natural significance and cultural history. A 50-foot-high observation tower provides panoramic views and a chance to see the bison or wild horses. 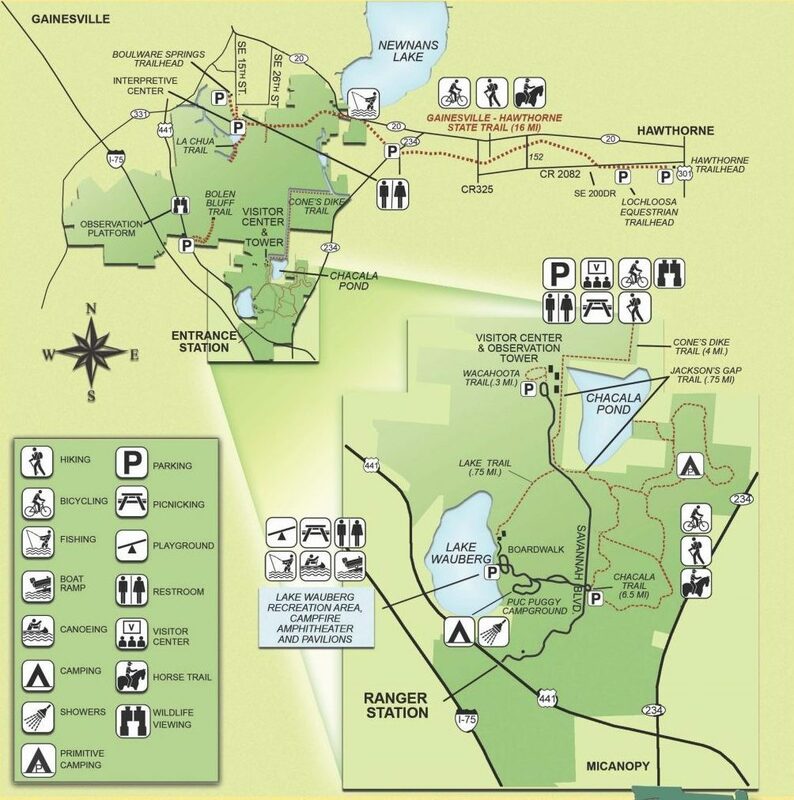 Reconnect to nature at Paynes Prairie on more than 30 miles of trails for equestrians, hikers and bicyclists through a variety of ecosystems. Spend a night camped under the stars at the full-facility campground. Participate in a ranger-led activity on weekends, November to April. A public boat ramp for canoes, kayaks and small boats with electric motors is located on the east side of nearly 300-acre Lake Wauberg. For anglers, the day’s catch may include bass, bream or speckled perch. A Florida fresh water fishing license required.